Food. While serenity_valley continues to rock the bento, my own quest for portable eatables has taken a different direction, and lately I've been using an assortment of tins, tied in a bandanna furoshiki, to get breakfast and lunch to work with me. 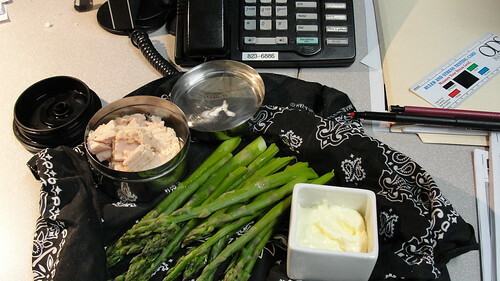 If I don't have time to steam veggies in the morning, I can microwave the asparagus right in the bandanna! Tuna, mayonnaise (which traveled under a foil-and-rubber-band lid), yogurt and berries in a similar steel sidecar, maybe a slice of cake in a rectangular tin. It's like Christmas at lunchtime. Riding around on two wheels. We've had mad rain lately. Monsoon-style, Amazonian, drenching downpours. Portland's been in the path of some stuttering wave of storm-fronts and it's like someone's flicking the light-switch off and on, and making the barometer go up and down, and though it's annoying and sometimes painful and really, really wet, in between the storms you get some really beautiful skies. This little break for miscellany has been brought to you by Chapter 31, which is finally finished and posted. Chapter 31, which is finally finished and posted. I'm away from my home computer & bookmarks! Link???? 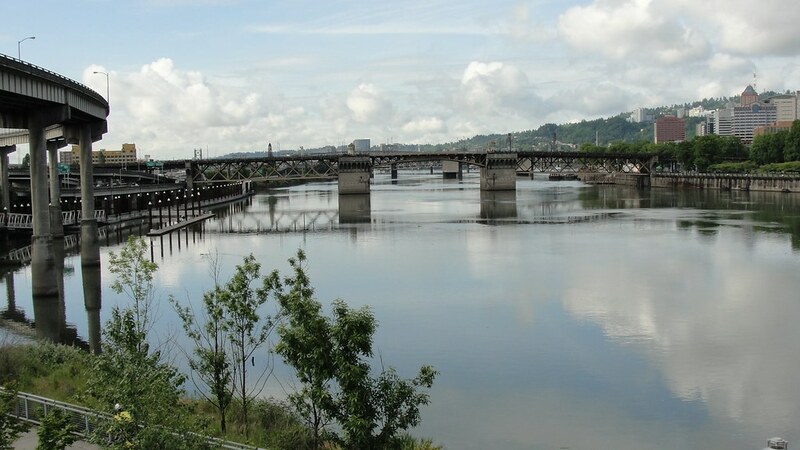 Oh, and Portland = PRETTEEEEEEE! I'll be posting some pictures of the OMGMONSOONRAIN later today that will explain why many people who move here leave again.